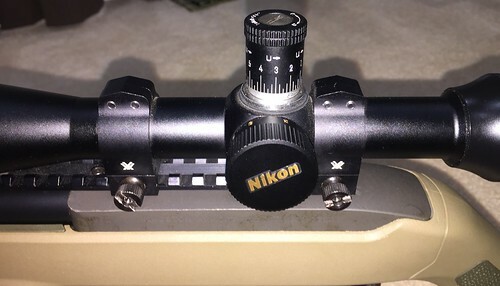 For Sale is a Nikon Monarch 4-16 MilDot scope. This is a side focus scope. I added the upgraded turrets for dialing in the shot. Scope comes with a set of Vortex Rings and Butler Creek end caps. I am the original owner. This scope was mounted on a Rem 700 .308 for a short time. It is currently on my .22 trainer. Asking $230 for the scope. I pay shipping. Original owner. Includes all the parts that came in the box. Great scope for just plinking. Its been in the closet for years and needs to find a home. Asking $45. I pay shipping. I'll take the Sweet .22 scope.